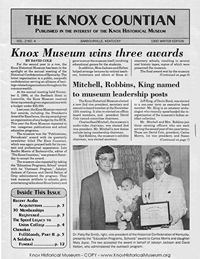 The Knox Historical Museum's library is a research facility specializing in the history of southeastern Kentucky, with an extensive collection relating to local, regional, and state history. 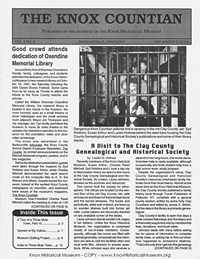 The William Sherman Oxendine Memorial Library contains an ever-growing collection. 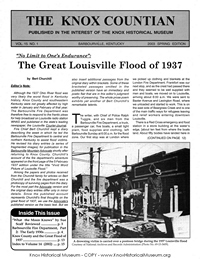 Research materials include books and published materials, manuscripts, periodicals, maps and much more. 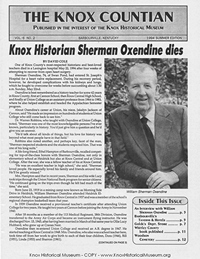 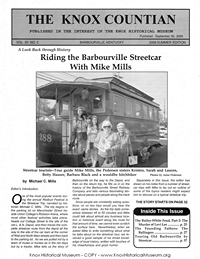 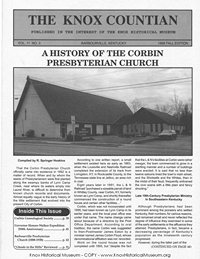 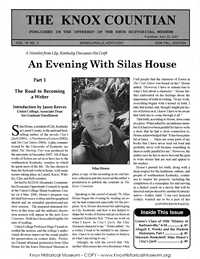 In the Fall 2000 issue of the Knox Countian magazine, historians Michael C. Mills and Charles Reed Mitchell, both of whom are current officers of the museum, jointly compiled a listing of books and other writings on Knox County's history they found helpful at the time. 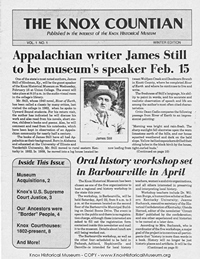 Most of these publications may be consulted at the Museum, Knox County Public Library, and Union College. 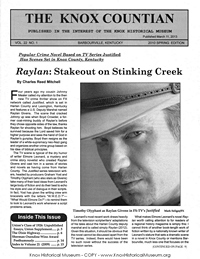 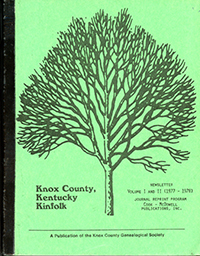 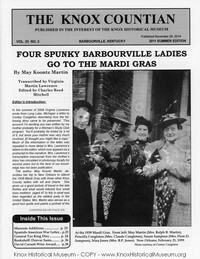 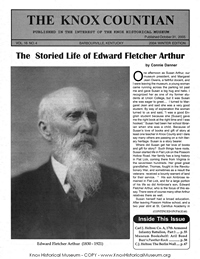 Articles such as books on Knox Country History and fiction including surrounding communities including Clay, Whitley, Laurel, Bell, and others, as well as southeastern Kentucky history and national history related to Kentucky. 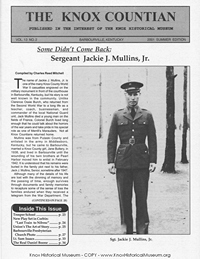 Includes hand-written or typed items such as letters, documents, business forms, military orders and rosters, receipts, and other historical paper documents. 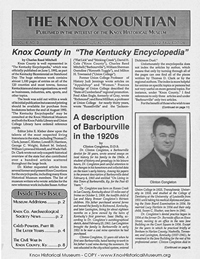 The Knox Historical Museum has numerous maps pertaining to Barbourville and Knox County, its surrounding area, and Kentucky. 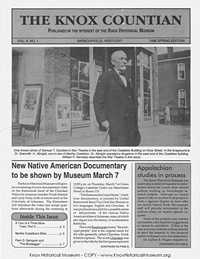 The KHM's Map Gallery is also accessible under the "Exhibits" menu.